I mentioned a while ago that I felt the need to clarify to everyone I told about being pregnant, that it was hard for us and that we ended up doing some fertility treatments to get there. I thought maybe I was being a bit over zealous and that people didn’t really need to know that, but now I am glad I did. Now that everyone knows (or can tell) I’ve got a baby on board, I still will mention it when people start trying to get me to complain about being pregnant (“how uncomfortable are you?”, “are you starting to have sleepless night?”). A few weeks ago I hear a knock on my door at work and my colleague came in and asked if I had a few minutes, I said yes, and then she came in, closed the door, and started crying. She told me about how scared she is to start doing fertility treatments and taking drugs with scary side effects. She is 36, and recently married, and had previously told me they were going to start trying and because of her age, had asked me a few basic questions about the fertility clinic I went to and what we did, etc as she was worried. This was last summer and I didn’t really want to ask any follow up questions other than generic “how are things?” because I knew how it felt when after several months, relatives and friends would ask for “any updates” and I had nothing to give. It made me feel cruddy, like they were thinking “its been 4 months since we last talked about fertility stuff—shouldn’t you have an update by now? ?” If I had an update I wanted to share, I would have. And if she had good news, wanted her to be able to share it on her time, and not feel pressure. I told her the shot isn’t that bad, the HSG is no big, that I never even read the side effects page of all the medications (ignorance is bliss…) and a gave her big hug. That was it. She left and then the rest of the day, we acted like it never happened, I continue to not ask her for details and hope that someday soon I hear about an upcoming maternity leave for her. So if any of you are wondering if you should tell people about your struggles (past or present), know that even if one person hears it who needed to hear it, it was worth it. I know it’s been a while since I’ve been on here. But I finally made myself sit down and write. I’m been meaning to do his for a few weeks, but just haven’t had the words or time to really think about it, so just kept putting it off. We’ve got good news. Our IUI worked and we are on our way to a bump! I’ve been wrestling with this news for a long time for several reasons. 1) I thought it was too good to be true 2) I felt guilty that it worked for me while so many others continued to struggle, 3) I was sure it was going to end badly, and 4) Each time I was about to sit down to write, another blogger/friend posted a BFN or loss and I just didn’t want to rub wounds. Well, I’m almost 10 weeks now and still think it’s too good to be true. I still have guilt when I read others’ posts about their heartache, I am still worried it will end badly- (especially after hearing about a family member’s recent loss around the point I’m at) and I’m sure as soon as I post this, someone else will be on CD1 and it will upset them. I have so many thoughts that I want to share before I know some people with stop following my blog (which I know is inevitable as I did it too). I don’t know how to tie them together nicely, so I’ll just bullet point them. Do you mind? I would have never gotten to this place with my spirit in tact if it weren’t for my fellow bloggers and God. There were so many hopeless days filled with joy because of something someone else posted, or something that made me realize how lucky I actually was in my life. The comments on my blogs that gave me the strength to keep moving. If you don’t know Elisha, you better get to know her. She is the fiercest Jesus warrior I know! I dare you to write a negative, “woe is me” post and not get a positive comment or a care package in the mail. I know when she gets to share her good news, she will have hundreds of people congratulating her. I kept this news to myself for a few reasons. Some were mentioned above (fear of miscarriage and guilt). Also, with sharing so much of my life on the blog with people who I don’t know as well as friends and family. I wanted to have something that was just mine to cherish. I have no control over so many things in life, I wanted to control how a few people in my life got our news. I wanted to surprise some people with the news when I was ready, rather than find out on my blog. I am still here for you all. When someone “recovers” from a life changing disease they don’t just pick up and move on, forgetting all they’ve experienced. No, the cancer survivor visits her old friends while they’re getting chemo, and continues to advocate for their needs. The man who just got a lung transplant, still calls his friends who are on the waiting list to fill them with hope and listen to their sorrows. Please know I am always here and you can always post a comment and I will respond. God has put infertility on my heart as a badge I will wear courageously. I will never stop bringing awareness and hope for those who have to go through it. This blog has really been a space for me to reach out and try to find people like me, so I didn’t feel so alone in my struggles. And it just that. I have loved sharing my life with all of you. I am still struggling with feelings and emotions and will continue to use this blog to talk about them. They probably won’t be as frequent, but I’ll try to get on regularly to let everyone know how I’m doing and hash out any complex feelings I’m having. I still get irritated with pregnancy announcements and pregnant/mommy talk. I hope I get to the point where it doesn’t bother me anymore, but for some reason, I still have a hard time being happy for people who get pregnant by accident. So I get it if you’re irritated with me. No offense taken. Oh, and no obligatory “congrats (but in my mind I hate you)” comments needed. I get it. You don’t have to be happy for me right now, and thats ok.
Lastly, I am so thankful that God has blessed me with this child. I will cherish this time forever, no matter what happens from here on out. Every day I thank God for giving me another day of being pregnant. I do not take for granted that tomorrow I could wake up and everything could change. I hold tight to each day I am given with this baby. So, there you have it. I’m pregnant. Looks like the fruit nazi has finally let me have my fruit! Hope you are next! Well, my life has been pretty cray cray lately. I was offered the job I applied for back in June and I start next Monday. 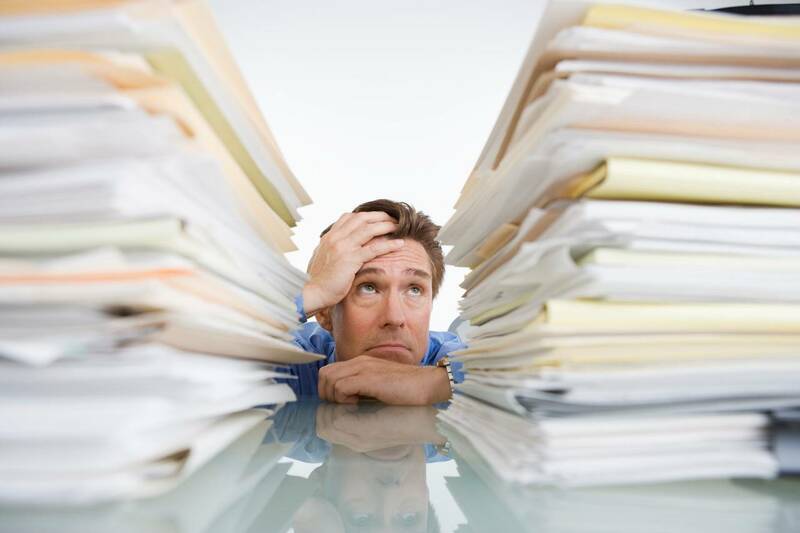 I wasn’t offered until last Thursday so that is a pretty quick turn around to get all the paperwork and background stuff done that is required when working for a large hospital system. 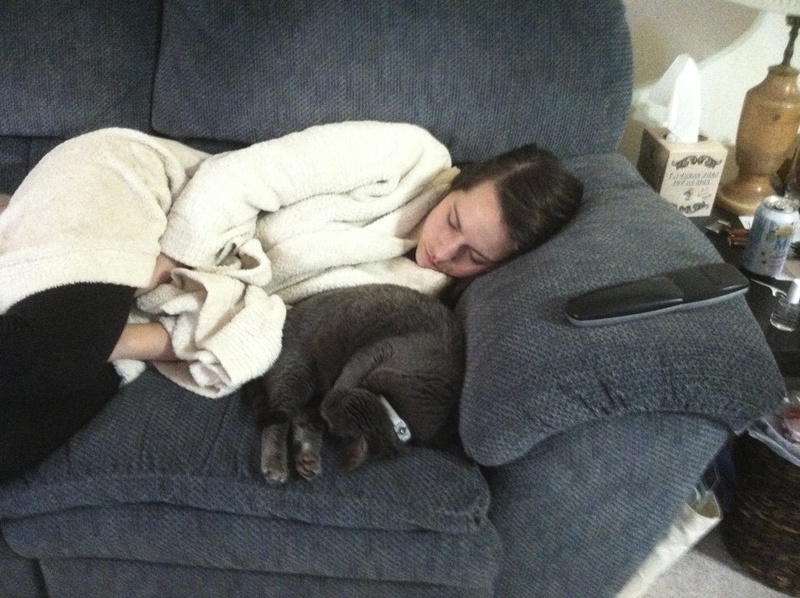 If any of you work in healthcare (or probably any other career other than cat-sitting), you know what I mean. So my blogging, will likely become a little more sporadic, but I really hope to keep posting once a week. 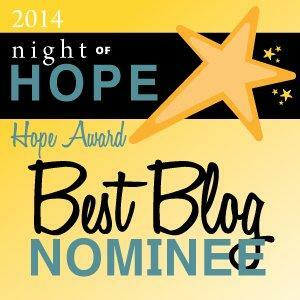 And to top that all off I was notified last week that my blog was nominated for the 2014 Hope Award for Best Blog. What?? I just submitted my entry for the NIAW: Resolve to know more to join the club and try to get a few more friends to share my journey with via the website. That has always been my goal of this blog from the get-go: to connect with others to make this isolating situation less isolating. Each time someone “follows” my blog or “likes” a post I seriously feel a personal connection to you. It tells me “hey, you either get what I’m feeling, or want to go on this journey with me”, which is wonderful! The only thing I can say is how amazing God is and how He has blessed me immensely this month. After having so many things go wrong, some things are starting to go right. I am so honored that people read my blog and thought it was something other people struggling with fertility issues or who have a heart for that should read. Wow. So if you like my blog, feel free to vote and follow me, and if you like someone else’s better once you get there, vote for them and start following them too. You’ll get to make a new “friend”, because isn’t that really why we blog about our journeys in the first place?